Stations of the Cross: This devotion will be celebrated two times a week, on Tuesdays and Fridays. 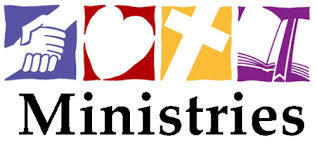 Tuesdays will be at 6:30 p.m. starting with soup supper followed by Stations of the Cross at 7:00 p.m. It will be a discussion model using Scriptural Stations of the Cross; somewhat different from the traditional ones. On Fridays, the Stations will be at noon time, in the traditional style. Don’t waste your Lent. We only have so many years on this earth and to waste another Lent (you know who you are –I’m guilty, too) is just plain subpar for a believing Catholic. Challenge yourself spiritually. Give up your favorite things. Fast more often than before. Commit to daily prayer or Mass and Good Friday devotions. Our Lenten Season is a time that we can walk with Jesus in a very meaningful way. When we choose to walk with Jesus He gives us the graces to do the things we need to. Some of you are probably very motivated, some are probably groaning in resistance, while others are nodding (maybe in agreement, maybe falling asleep). But wherever you are now, in the first week of Lent, you can pick up new ideas, as well as challenges. or spend time on, or that annoys the people you love. Can you do it?